Produktinformationen "Making Teddy Bears from A to Z"
What you see is what you get: “Making Teddy Bears from A to Z - Your Own Teddy – Step by Step”. 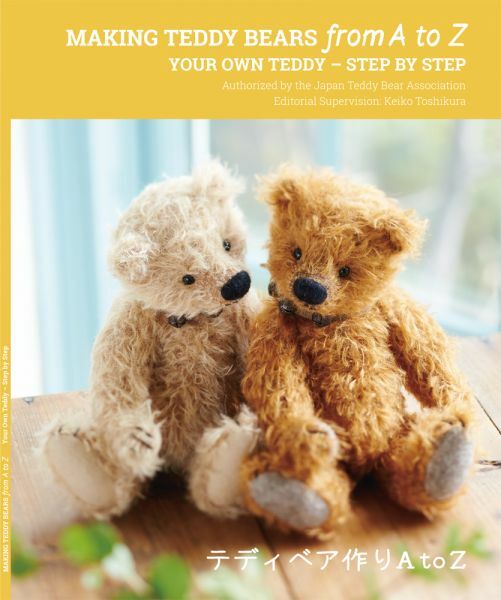 With easy to understand explanations and detailed, step-by-step illustrations, each step along the way to creating your own teddy, is clearly illustrated. Information about tools and materials, together with practical explanations, teaches you the necessary handicraft techniques to work from the comprehensive teddy bear patterns. Whether you are new to bear making or a craft professional, you will discover all you need to know about bear making in this helpful guide. Weiterführende Links zu "Making Teddy Bears from A to Z"
Kundenbewertungen für "Making Teddy Bears from A to Z"